Comment: There are currently bats living in the attic and are in need of being removed from the residence. The bats seem to be getting into the home under a shingle. Additionally the roof is need of being replaced due to age and damage stemming from the bat infestation. My name is Katie Rivera and I am case worker with a non profit agency, Operation Homefront. We are working with a veteran family in the Johnstown area to try to at least cover a portion of the roof repairs. I will include the family's information on the following contact page, but also wanted to provide my information below: Katie Rivera Office Line: xxxxxxxxxxxx Fax: xxxxxxxxxxxx Email: kathleen.rivera@operationhomefront.org Thank you for your time. Comment: Ants in living room. Crawling around carpet by fireplace. Used peppermint ,boric acid dawn mixed with water. Also exoskeleton powder. Have 2 puppies. Comment: I have a Hugh house. Have had a bed bug infestation for some time now. Comment: Rats have gotten in the bottom part of my barn where goats and chickens are housed. They are digging under the cement floor. I have put out large rat bait stations but they are not eating the bait as they feed on what they can savage from the others grain. Comment: There is a young opossum stuck down in my trash container. It seems too weak to get out. Johnstown Pest Control Services are rated 4.58 out of 5 based on 342 reviews of 6 pros. 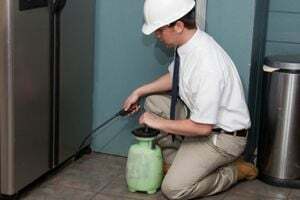 Not Looking for Pest Control Contractors in Johnstown, PA?